Comment: Minimal signs of wear. Ships direct from Amazon! One of our greatest philosophers and scientists of the mind asks, where does the self come from--and how our selves can exist in the minds of others. Can thought arise out of matter? Can self, soul, consciousness, "I" arise out of mere matter? If it cannot, then how can you or I be here? I Am a Strange Loop argues that the key to understanding selves and consciousness is the "strange loop"-a special kind of abstract feedback loop inhabiting our brains. The most central and complex symbol in your brain is the one called "I." The "I" is the nexus in our brain, one of many symbols seeming to have free will and to have gained the paradoxical ability to push particles around, rather than the reverse. How can a mysterious abstraction be real-or is our "I" merely a convenient fiction? Does an "I" exert genuine power over the particles in our brain, or is it helplessly pushed around by the laws of physics? 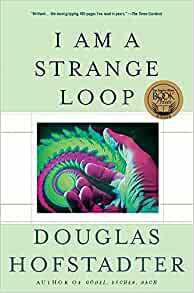 These are the mysteries tackled in I Am a Strange Loop, Douglas Hofstadter's first book-length journey into philosophy since Gödel, Escher, Bach. Compulsively readable and endlessly thought-provoking, this is a moving and profound inquiry into the nature of mind. Start reading I Am a Strange Loop on your Kindle in under a minute. Douglas Hofstadter, justifiably famous for "Godel, Escher, Bach" wrote about the much trickier subject of mind and personal identity in this 2004 book. It is one thing to analyze the relation between three applications (their results in Math, visual art, and music) of self-referencing thought, and quite another to analyze the entity doing the thinking. Hofstadter begins with Godel because as it will turn out, his insight into the recursive descriptiveness of number theory from which self-reference was (supposedly) banned by Bertran Russel, becomes his inroad into a philosophy of mind. Hofstadter is a master at describing (without mathematical formalism) what Godel did and why it matters. He is not so good at applying this to mind. Besides Godel, the author's other insight comes from the loopy-like nature of recursive entities like infinite halls of mirrors or what happens when you point a television camera at the screen displaying what that camera is viewing. We all have seen these, and from these two things, Hofstadter assembles a theory of mind based on the idea that whatever goes on in the brain at the low and mid physical levels results in some sort of abstractions (perhaps manifested in harmonic oscillations of electromagnetic energy) that from another perspective, are the very stuff of consciousness. There is nothing particularly new about this. Rejecting religion or other basis for any sort of dualism (and his remarks are rather disparaging in this respect) and declaring oneself a physicalist (there is nothing more than physics) is par for the course and occasionally swatting straw-man arguments to the contrary, is all part of the contemporary game for most of today's philosophers and scientists. Besides religion he mentions David Chalmers who was, apparently, a student of Hofstadter's in his doctoral days and rejects Chalmer's non-religious panpsychism (and along with this presumably Davidson's "dual aspect" monism as well) which is fine as far as it goes. Hofstadter's theory is somatic. Mind arises from what goes on physically in the brain and nothing more. The problem is he never gets to connect up the subjective with anything that can, even in theory, be measured by third parties. This is not to criticize him alone here, no other physicalists (or for that matter panpsychists) manage to do it either, but in this case the author jumps from the neurological layer to the concept of self-referencing abstraction (presupposing consciousness) without pointing to anything in between that might connect the two. After declaring his theory "explained", Hofstadter moves on to considerations of how one strange loop-abstraction, the one that fools me into the illusion of a stable "I", is influenced and modified by others. He is much impressed by Derek Parfit's thought experiments [supposedly] demonstrating that what we take to be the un-copyable core of ourselves, is nothing but effervescent illusion and can in fact be copied. Moreover, though we cannot copy it today (and may never be able to do that in reality) we can, from our own interiority, find ourselves being partial expressions of other people, their strange loops! He supposes that our own personal-identities form slowly as we proceed from infant to child based on all the various influences that impinge on us from the world as these come to influence new effects in our own minds. The totality of all this over time results in a relatively stable, but not changeless, personal identity. He moves on from there to suppose that those we hold and know particularly closely (our parents, wives, children, siblings, etc) can cause their own identities to be partly duplicated in our own minds. None of this really makes sense. Of course someone with whom we are close for many years will have a proportionally larger influence over the shape of our phenomenal arena. What he doesn't seem to appreciate is that this influence takes the same pathways (our interpretation of sensory experience for example) as the initial early development of our own personality. There isn't any loop in my brain that is a copy (however imperfect) of my wife or children's identity, only modifications of my own that represent them. There is much here and I do not doubt that writing "I am a Strange Loop" was a labor of love in more ways than one. It is, as with other somatic theories, even possible that oscillating fields in the brain have a lot to do with consciousness and personal identity. There are still reasons to believe that this is not the whole story. An apparently key part of this book is an insert or annex that provides a number of color photographs illustrating the feedback (loop) concept Hofstadter is discussing. These pictures are not included in the Kindle Edition, thus leaving out important context and description. If Amazon is selling an abbreviated/abridged book, that fact should be stated up front, so we know what we are buying. Any book containing graphics, photos, equations, etc., should be checked closely before buying the Kindle edition. Had I known this was an abbreviated edition, I would not have purchased the Kindle edition. The book is too complex to be abbreviated. Fascinating book, and much shorter than Godel, Escher, Bach, for those of us who want to understand the ideas without reading a 700 page tome. I had a somewhat difficult time assessing the quality of this work because, while the discussion concerns some very important topics, the book is relatively poorly written. The youthful exuberance and brilliance that made GEB a classic are gone, replaced by a more sober and meditative exposition: Quite often tedious and boring. 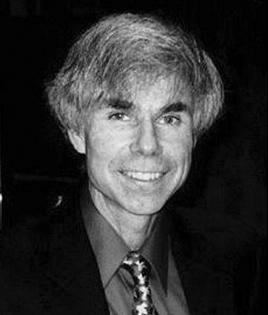 But I think that what Prof. Hofstadter is discussing and his ideas are very important. Therefore I strongly recommend the book for helping to understand Godel’s work, and the author’s views in the science and philosophy of mind. He often elaborates points that are rather easy to grasp, and with respect to alternative perspectives or viewpoints, he often sets up “straw men” to compare with his ideas and oversimplifies. What we are given here is a very flawed piece of work, and no classic like GEB, but important to read because the author’s ideas are important, and from a more mature perspective than GEB. Couldn't put it down. Great style. Explains the hardest thing to explain in the world by using intuition pumps, personal stories, mathematics, and analogies. Builds up a repertoire of entities that stay with you the whole book getting enriched every time they're called back to illustrate a point. Hofstadter must really hate mosquitos.